Michelle is an Australian children’s author from West Gippsland. 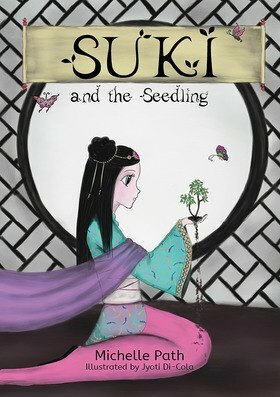 Her rst book Suki and the Seedling was published through Little Steps in 2014. She has also published twelve books through Rowanvale Books in the UK, including four books in her popular, award-winning Xalien the Purple Alien series. Michelle has two main passions in life – writing and horses. She began writing as a teenager and has continued to write ever since. Michelle got her rst horse when she was 18 and fell in love with them straight away. She loves competing in dressage competitions and the occasional show. Five years ago, she bought a lovely two and a half year old welsh pony of cob type, whom she named Cody. Cody was broken in and then Michelle began the task of training him. She had no idea he would be such a wonderful dressage pony, placing rst in his rst dressage competition. He has since gone on to be very successful in his career as a dressage pony. Michelle decided to combine her passions and write a story about her pony and the journey they have been on so far. 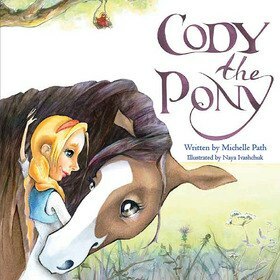 She hopes to publish more books about Cody the Pony in the future.